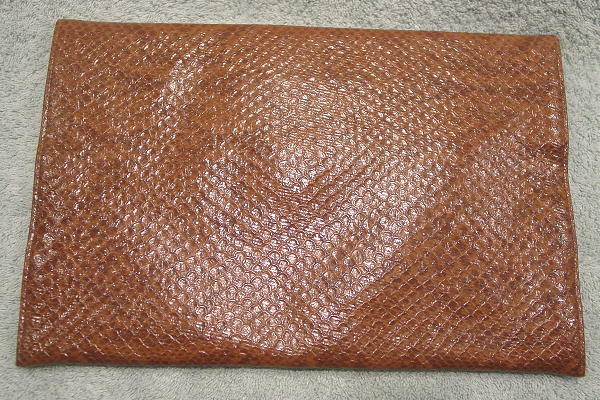 This vintage faux leather envelope style large clutch was made in the USA by Shirl Miller Ltd. 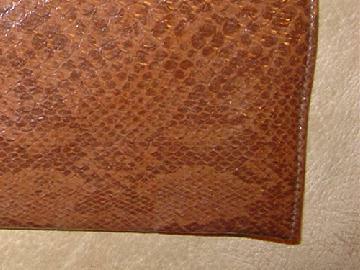 It has an embossed reptile pattern in various shades of brown. 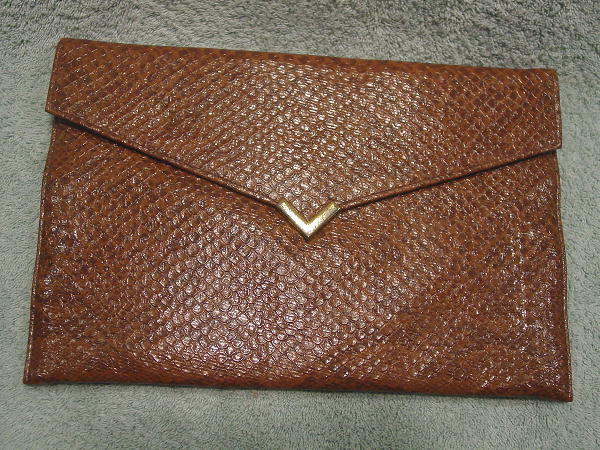 The bottom center of the flap has a gold-tone metal V.
The lining is in a camel color faux leather. 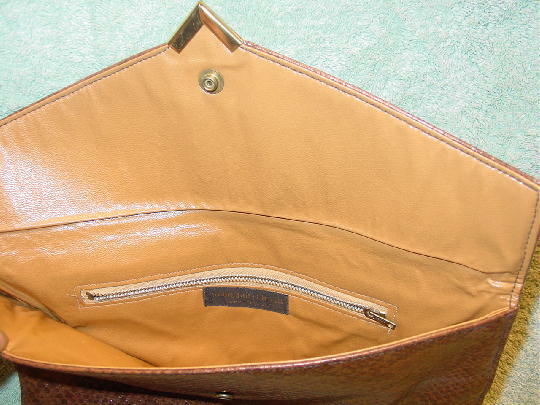 There is an interior large zippered pocket lined in brown fabric. Under the front flap is a hidden snap.